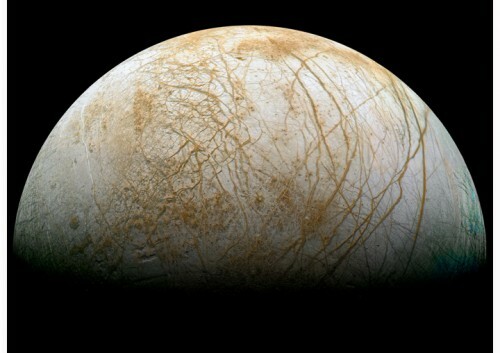 Europa has intrigued people for decades, ever since the first evidence was found that this small icy moon of Jupiter harbours a subsurface ocean. Additional information about the actual conditions below the surface have been difficult to obtain, since this ocean is covered by a global crust of ice perhaps ten of kilometres thick in places. But perseverance pays off, and now in just this past week there are two new significant discoveries being talked about – evidence from the Hubble Space Telescope for water vapour plumes, announced on Thursday, erupting from Europa’s surface similar to those on Saturn’s moon Enceladus, and the first detection of clay-type minerals on the surface, announced on Wednesday. Artist’s conception of DADU exploring ice-covered waters. 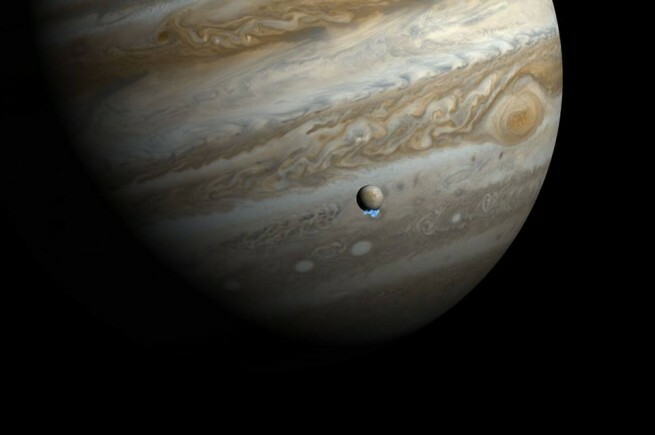 For decades, Jupiter’s moon Europa has been the focus of fascination and debate. Why? Because it has a global ocean – a deep, salty ocean similar to those on Earth, except that in Europa’s case it is always covered by a crust of ice. Speculation has grown that there could be life of some kind in that alien watery darkness, and now there is a new proposal for how to look for it – a tiny submarine! Not all that long ago, it was considered very unlikely that life could exist anywhere else in the solar system, apart from maybe Mars. 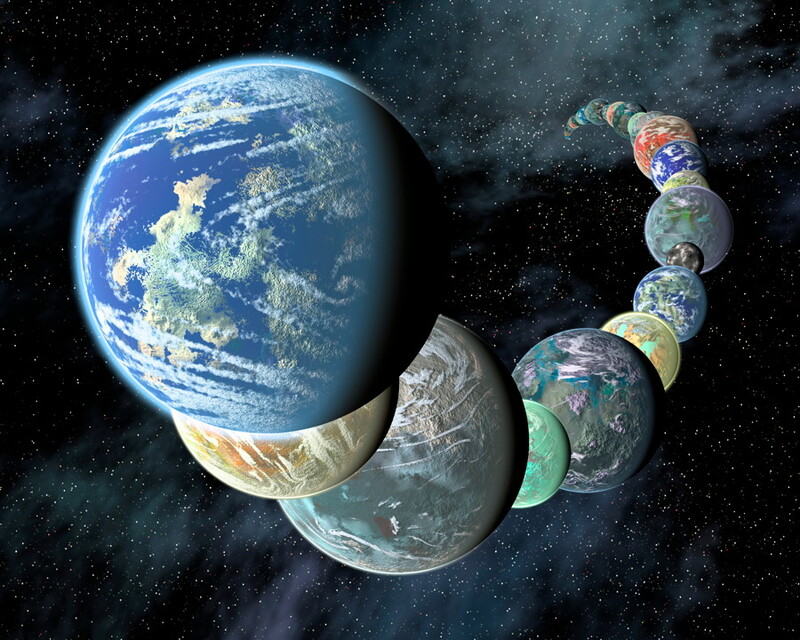 A variety of robotic spacecraft missions, however, have changed scientists’ views; there are indeed a handful of other worlds in our own cosmic backyard which it is now known could potentially be habitable after all. Does Europa have ‘icy spikes’ on its surface? 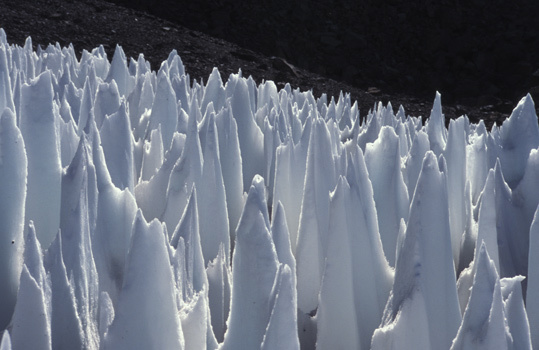 Penitentes on the Andes mountains on Earth. Is there something similar on Europa as well? 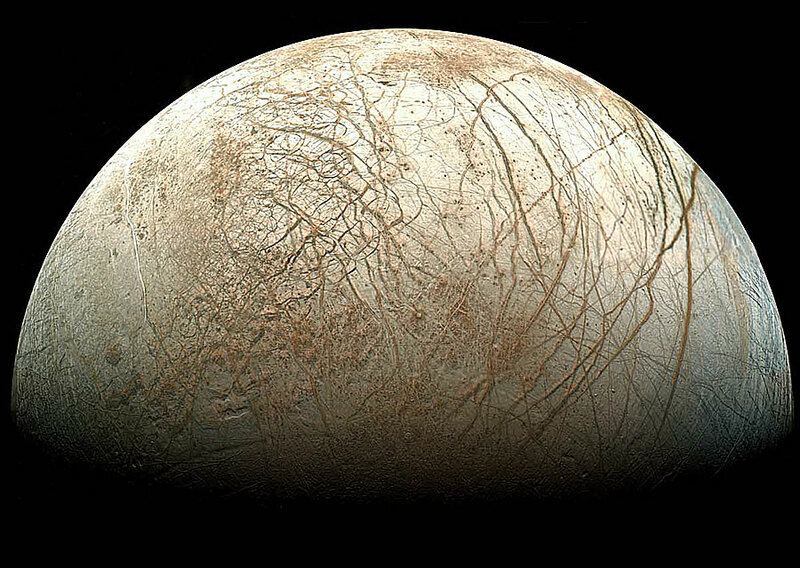 Europa is a fascinating little world, a moon with an icy crust and a subsurface global ocean. The environment is similar to the ice-covered waters at the Earth’s poles. Now scientists think that there may be another feature which is also found on Earth – huge frozen spikes of ice on the surface. Read MoreDoes Europa have ‘icy spikes’ on its surface?